After long delay due to many issues, I am back with the new trick! I have Karbonn A1+ since 2-3 months. 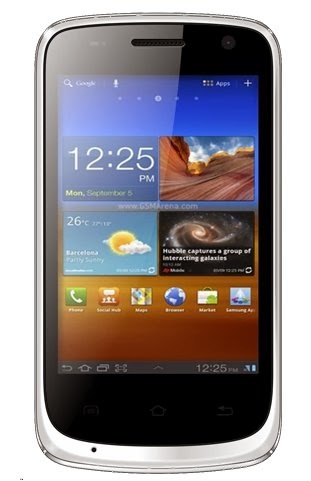 I was really sad that this phone cannot be rooted due the chinese hardware used by Karbonn. But I found the trick and here's HOW-TO root Karbonn A1+. 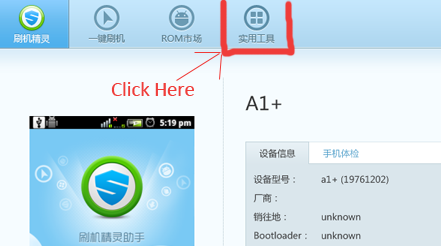 You can also try other Android Smartphones with Spreadtrum SC6820 chipset. NOTE : I will not be responsible for any kind of damages done to your phone or PC or a toaster. Warranty will be void . 1. Install ADB drivers. Many of the users are unable to properly install the drivers. So read it carefully, you will surely get success. First connect the phone to PC(Windows XP or Windows 7), go to Device manager and uninstall all unresolved drivers named as "Spreadtrum phone". Then disconnect the phone and install these DRIVERS (Download links are provided at the end.). Enable the USB debugging mode in settings of phone and Connect the phone again and it will detect the phone and install drivers automatically. 2. Rooting. I assume that you've read the above note. This is little tricky but it worked for me. 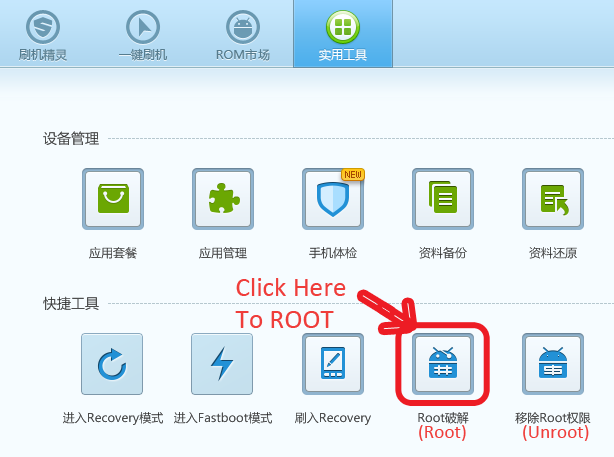 This tool is in Chinese language, but looking at the icons you can get the idea of how to root. Open the tool and connect your phone, it will automatically detect your phone. After clicking phone will restart several times. A Chinese application will be installed. But, this was NOT the end of my rooting adventure. It installs one app after rooting is completed. I checked whether phone is actually rooted or not by installing Titanium backup, it was stuck at asking for root permissions. 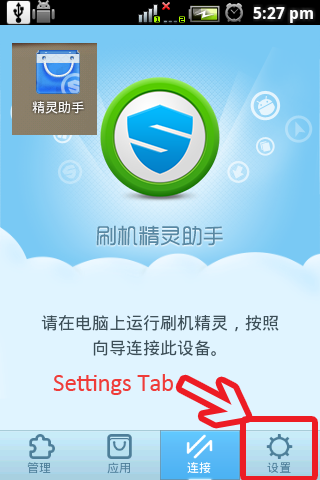 I just again reconnected to PC and I saw ANOTHER app (chinese) in the phone popped up. 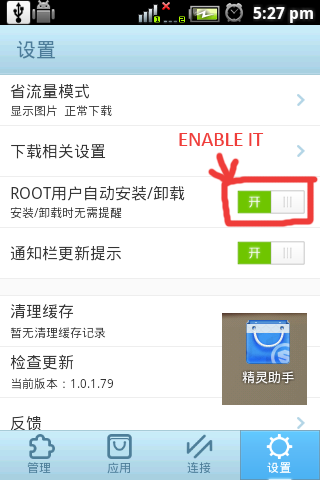 In its settings tab there was an option of root and it was disabled. Voila! after enabling it Titanium Backup worked without any trouble! There are many functions in that app but I am not from china. If any body know Chinese please help me translating those words in app. 1. Download and Install Framaroot.apk and open it. 3. Then Click on "Boromir". 4. It Will Display A Root Confirmation Message, Click On "OK" And Then "REBOOT" Your Device. If you see the application then you have successfully rooted your device. After rooting remove all the bloatwares or crappy apps that were unable to remove using Titanium backup. Don't forget to take backup of the apps before trying any thing in root access. I have also flashed ClockWorkMod recovery in my phone and its working just fine!